The city is going to get the mall experience since Mall of Travancore is all set for inauguration on March 23. 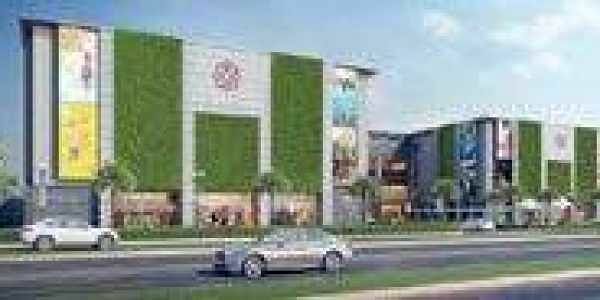 THIRUVANANTHAPURAM: The city is going to get the mall experience since Mall of Travancore is all set for inauguration on March 23. Located at Chackai, right in front of the Trivandrum International Airport, the mall is a harbinger to many new development the city is going to witness in a few years. Unlike Kochi, the capital city has been a little behind in terms of mall culture. Yes we had Narmada shopping complex at Kowdiyar and TRIDA’s Saphalyam complex at Palayam. The latter is more of an extension of Connemara market. The next set of large shopping establishments in MG Road were more like large super markets and not exactly malls where a family could go to watch movies, shop at various branded stores and dine at the favourite restaurant chains. Mall of Travancore has all of it and its owner, The Malabar Group, is keen to provide an international shopping experience with a local flavour. The mall boasts of 300 outlets and 7 multiplex screens. The visitors are greeted by a large vertical garden, claiming to be the largest in the country. The garden itself costs the builder with Rs 2.5 crore. The mall functions from 10 am till 11 pm on weekdays and till 12 am on weekends. But the premises will be opened from 6 am onwards to welcome morning walkers to the 1.5 kilometre walkway. “We are creating a large hangout space of 60,000 square feet. We will be encouraging sale of local items such as vegetables, milk etc,” said Malabar Group chairman M P Ahammed. According to him the mall will see a lot of activities throughout the year. The celebrity visit starts with actor Dulquer Salmaan by the end of this month and it will be followed by a visit by Bollywood actor Kareena Kapoor in April. An array of cricketers and football players will also visit the mall.